Activated platelets. 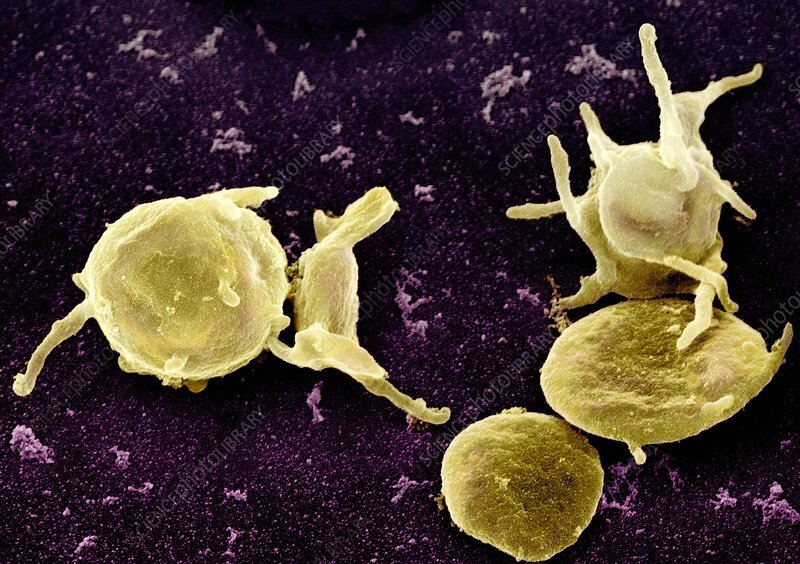 Coloured scanning electron micrograph (SEM) of platelets (thrombocytes, yellow) that have been activated. Platelets are part of the blood. When a blood vessel is damaged, the platelets become activated and secrete chemicals that cause the formation of a fibrin mesh. This mesh traps platelets and red and white blood cells, forming a clot that seals the damaged blood vessel.